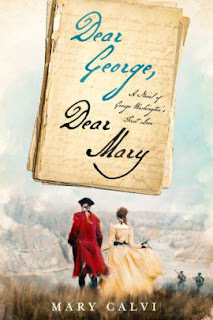 Synopsis: For fans of rich and complex historical novels like Girl with a Pearl Earring or Code Name Verity, Laura Malone Elliott delivers the stunning tale of real-life Renaissance woman Ginevra de' Benci, the inspiration for one of Leonardo da Vinci's earliest masterpieces. 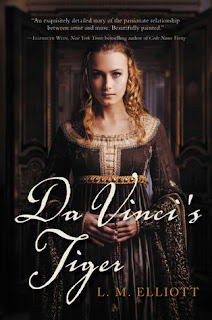 My Review: Da Vinci’s Tiger tells the story of Ginevra de Benci, the model for one of Leonardo’s early portraits. At a joust, Ginevra catches the eye of Bernardo Bembo. He instantly becomes smitten with her and decides to make her his Platonic muse. He commissioned Leonardo da Vinci. As Ginevra sits for her portrait with Leonardo, they come to an understanding and eventual friendship. Leonardo makes a bold move by painting a woman outdoors rather than indoors. By giving a woman an expression of freedom through a portrait, Ginevra becomes attracted to him because he understands a woman’s soul. The two of them work together to make a masterpiece that expresses a woman’s feelings. I thought that Ginevra was a passive character. However, I thought that she greatly represented the women at the time. She was a woman who loved to write poetry and enjoyed being raised in the convent. She has an affection for the convent because it gives her a quiet life where she can read and write poetry. She is unsatisfied with her husband. However, she is a virtuous woman. She is attracted to Leonardo because he has the same ideals as him. She knows that when she sits down to paint her portrait, they are making a statement about a woman’s freedom of expression. Overall, this book explored the relationship between the model and the artist. The story was very slow, and did not have much of a plot. Still, I loved the historical details of the story. This book was meticulously researched and it had feminist leanings. I was attracted to Da Vinci’s Tiger because last year I went to Washington D.C., and I fell in love with Ginevra de Benci’s portrait. Seeing the only Leonardo da Vinci portrait in America, I was curious to learn more about her. I was thrilled that there is a young adult book about her portrait for she has been eclipsed by more illustrious paintings like the Mona Lisa. After reading it, I have a new appreciation for the portrait and am eager to learn more about her. I recommend Da Vinci’s Tiger to those who love Renaissance Art and the Renaissance period. 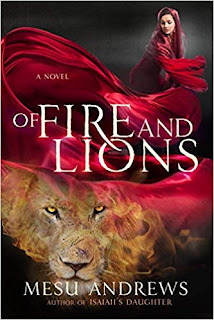 This book is perfect for fans who love I Mona Lisa, Ophelia’s Muse, and Marie, Dancing.